← Do I Really Need To Say Anything About This? When one evaluates the “literalness” or “freeness” of a particular Septuagint text with the purpose of discovering the Vorlagen, he must delineate which category he is utilizing. It is not sufficient to use the term “literal” as a blanket for all five categories. Scholars must define the text’s “literalness” with reference to each category. Wright moves from here in order to provide a methodological approach to be implemented by the Computer Assisted Tools for Septuagint Studies Project. I find it interesting that even the most recent introductory texts on the Septuagint still use the terms “literal” and “free” as blanket terms in describing the “literalness” of a translation. Yet, in all the scholarly articles I have surveyed/read, there is a delineation even in the title of the work itself. For example you might see two works produced by Galen Marguis entitled Consistency of Lexical Equivalents as a Criterion for the Evaluation of Translation Technique as Exemplified in the LXX of Ezekiel and Word Order as a Criterion for the Evaluation of Translation Technique in the LXX and the Evaluation of Word-Order Variants as Exemplified in LXX-Ezekiel. I realize that these works were published in the late 1980s. Has LXX scholarship moved away from these categories, or have the categories been omitted from the introductory text books? 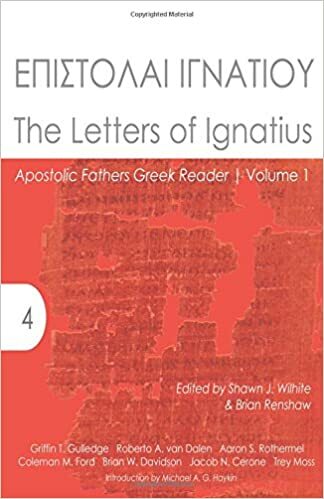 This entry was posted in Greek Resources, LXX and tagged Free, Literal, Literalism, LXX, Translations. Bookmark the permalink. I wonder if the categories are omitted for the sake of simplicity. The closest analogy I can think of would be of Physics text books. Most high school and some introductory college Physics courses still describe physics according to the Newtonian model, though most physicists accept the theory of relativity as a more accurate way to describe Physics. The terms “free” and “literal,” though not completely accurate or precise in describing the Hebrew-Greek translations in the LXX, still describe the phenomena of translation in the LXX (e.g. the difference between the Pentateuch (literal) and, say, Joshua (free)). Admittedly, I’m just grasping at straws here. I’ve never read an LXX text book. I’m just familiar with the Physics ones. Actually, I need to retract everything that I said in this post regarding a critique of recently published introductions. Silva and Jobes’ work has a brief section on Translation Technique that includes all five standards for literalness on pages 114-117.